Humans have always had a fascination with making their mark. From early cave paintings and graffiti found in Pompeii, to barbarian tagging in Rome and the names of French soldiers carved onto monuments during the Napoleonic campaign in Egypt, graffiti is rampant internationally. The word may even originate from the Greek γράφειν — graphein — meaning “to write”. With the invention of spray cans and marker pens, the art being produced has not only become more vibrant and complex, but also quicker to produce, leading to a constant battle with the authorities due to the largely unlawful nature of this art form. Street art hasn’t always been celebrated in Bristol. 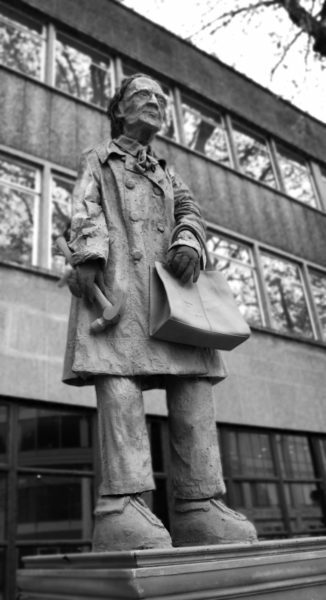 Banksy and other artists first arose in an era where as soon as their work went up, local councillors took it down. But these days public appreciation of street art has grown worldwide. The authorities increasingly recognise it as a tourist attraction, not a blemish on the city. Upfest, Europe’s largest live street art and graffiti festival, is hosted annually on the streets of Bedminster in July attracting over 300 artists from 45 countries to paint live on 50,000 sq. ft of surfaces. In short, despite Bristol City Council’s most concerted efforts, street art has become part of the city’s identity. Nowhere is this more evident than in the Where The Wall tour and the People’s Republic of Stokes Croft organisation. The original intention of the art, not necessarily malicious, is to make an impact on people. This has certainly been achieved. Relations between local artists and the council aren’t always friendly however. Recently the BIG, made up of local artists, residents and members of the People’s Republic of Stokes Croft (PRSC) responsible for developing the Bearpit, have been discouraged from maintaining and adding to the art hub following Bristol City Council’s takeover of the Bearpit. 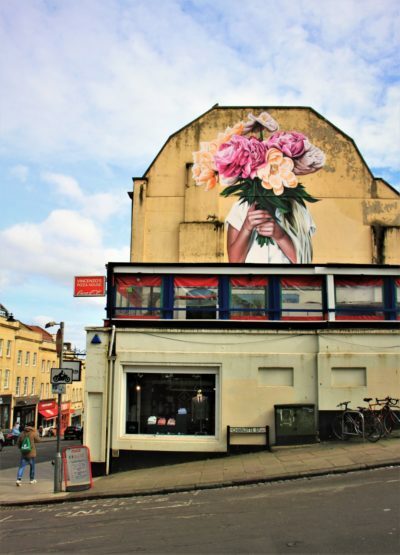 Campaigners and artists from the PRSC have said this tough new attitude to graffiti from the council and police is in danger of killing off one of Bristol’s quintessential features – street art. This is a direct criticism of mayor Marvin Rees’ Clean Streets campaign with its “blunt, anti-graffiti message” and the council’s lack of a clear graffiti policy. Rees launched the campaign back in November 2016, promising to make Bristol “measurably cleaner by 2020” by tackling fly tipping, fly posting, dog fouling, gum, weeds, and graffiti. While talks have been held between street artists and the council, ambiguity in the council’s graffiti policy has been blamed for a lack of understanding about where artists are and are not allowed to paint. Certainly, there are laws criminalising graffiti and vandalism – the Criminal Damage Act 1971, the Anti-Social Behaviour Act 2003, The Clean Neighbourhoods and Environment Act 2005 – however these do not specify street art explicitly. For a phenomenon that has arguably given the city a vibrant, trendy, and unique identity, it would seem at best counter-productive for the council to be vague about where artists can be creative. While the future is uncertain for street art in Bristol, one thing is certain; humans have, and always will have, the capacity to be creative wherever they like, and technicalities like the ever-changing law seem unlikely to hold them back.